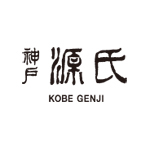 The main feature of Kobe Genji has got to be our "Original Okonomiyaki" which we let our customers grill up themselves to their liking! You can enjoy a one-of-a-kind okonomiyaki which you can have fun with your friends grilling up with your favorite ingredients. Of course our skilled staff will also be happy to diligently grill it for you, so please feel free to ask. Our freshly boiled yakisoba using buckwheat noodles we make by hand is boiled up from thick hand-made noodles by our kitchen staff in 6 minutes after we receive the order, then immediately grilled on a specially made griddle while instantly dispersing the moisture, so they have a springy and chewy texture which makes them irresistible and a high recommendation of our manager. We have also expanded our menu to include many more items such as "fried noodles and rice" from Kobe.